This simple and easy-to-read book will show you how to light your game on fire. You'll discover the 7 essential steps to playing with more confidence and leaving fear and self-doubt behind. Start playing golf with more freedom and less worry and stress. I'm willing to bet you've hit lots of good golf shots and if you have, already proven your swing is good enough. So it's time to start playing to your full ability. Stop the stress and concern that you're doing something wrong. You can certainly play better golf and I like to say to my VIP clients you can "play better golf by the weekend". Find out how you can unleash your very best version of YOUR golf swing. It doesn't matter how good your swing, or how talented you are, if you're playing with fear you're doomed! You have no chance of playing decently. But, if you're able to embrace the fear then you'll play far more consistently and better than you think possible. And I have proven this time and time again over the last 20+ years. Find out how you can play your best golf now. Hello Cameron, I have been a reader of your stuff for quite a while now …. Recently I bought the “Golfer’s Nightmare’ book and all of a sudden it all started to fall in to place. In the space of 3 rounds of golf my handicap has gone down to 15, I drove my first ever drive over 300 metres and played my home course in 77 (par 70), the best gross score I have had in more than 25 years. 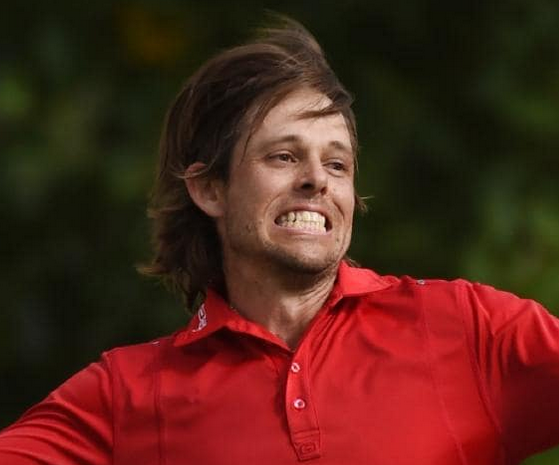 In a conflicted and confusing world of golf coaching, I'm not sure if anyone clears the noise and makes more sense than Cameron Strachan. My game has improved 100% and probably more importantly is that my enjoyment levels are through the roof. Cameron, I got your book before comp round ... and had the best round in 5 weeks! 38 points and 15 better than my previous. Cam, you are without doubt the best golf teacher/instructor/inspirer in the world! Q.Can I get a hardcopy version? A.No. This book is a PDF and is delivered immediately to your door. I have stopped printing books because after surveying my customers, the vast majority like the speed and the cheaper electronic version. Q.Can I get a digital (e-book) version? A.Yes. This product is electronic and is delivered immediately. Q.Do you have any other books? 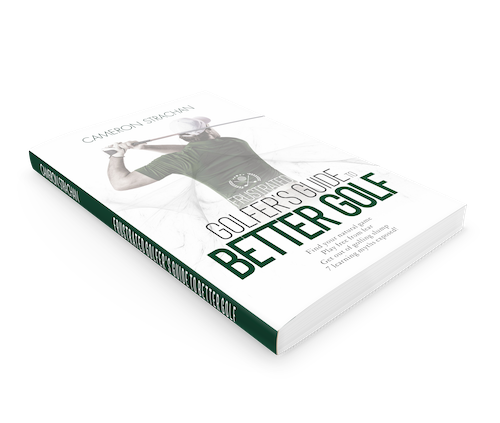 A.Yes, I have written 12 books on golf coaching and learning but this book is the ideal starting point to learn about Automatic Golf and what I call natural learning. Please visit my product page for more. … when you do, you’re actually learning naturally. You’re letting your learning system to the heavy lifting and it’s how you can play your best golf more of the time. Natural learning simplifies the process and in my mind, it’s win-win. Q.What's your main coaching point? A.I like to simplify. And I really mean simplify. I help you take away all the garbage and get you to focus on playing golf. From here you can’t fail. Golf becomes easier, you have more fun and better scores happen by default. Q.What currency is the payment in? A.All payments are in Australian Dollars. Q.Will this book help me? A.Sort of a stupid question but the information will certainly help you simplify and start thinking better. If simplification and a better attitude doesn’t help you then I’d be really surprised. So yes, it will help you, especially if you’re in a slump or been struggling for some time. Q.I have your Golfer's Nightmare book, should I get this? A.This new version is an updated version of Golfer’s Nightmare. If you have a copy of that handy you won’t find any new info. If you have lost your copy or simply can’t remember if you’ve read it, you’ll find a great offer below. This product is 100% electronic and graphics used here are to represent the offer as best as possible. This is NOT a physical item. You gain instant access to product after purchase.